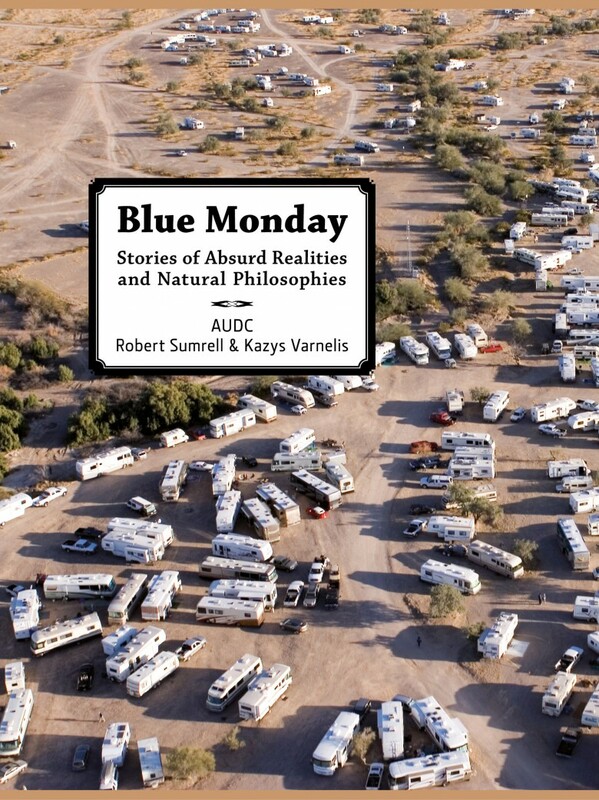 Blue Monday features three moments in modern culture that offer glimpses into our increasingly perverse relationship to architecture, cities, and objects through a lively mix of philosophy, photography, architectural drawings and models, as well as new media. The first section, Ether, explores a Los Angeles telecom hotel, One Wilshire, a 39 story building of utter banality and complete mystery. 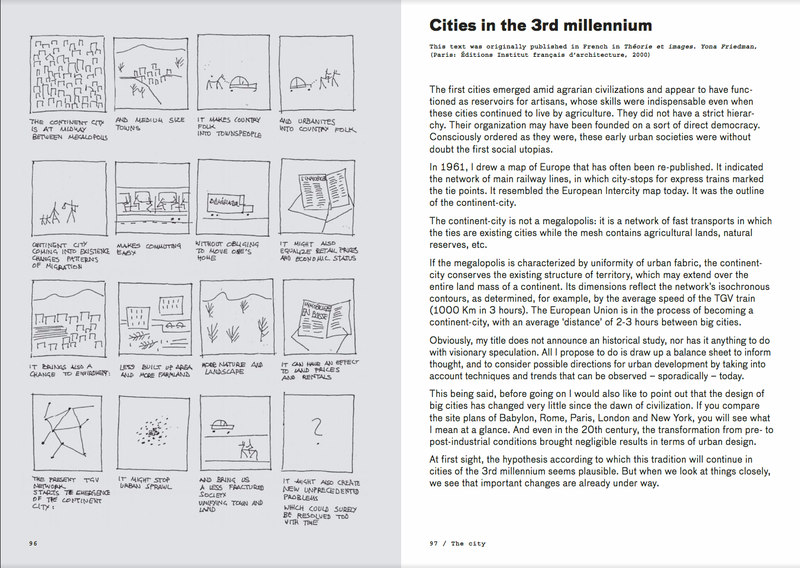 The second, the Stimulus Progression, looks at the strange story of the Muzak Corporation and the invention of a culture of horizontality. 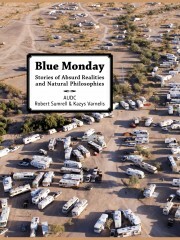 The third, Quartzsite, Arizona, visits a desert town of some 3,000 people in the summer that swells to over a million residents every year as a horde of modern nomads descends upon it in their Recreational Vehicles. 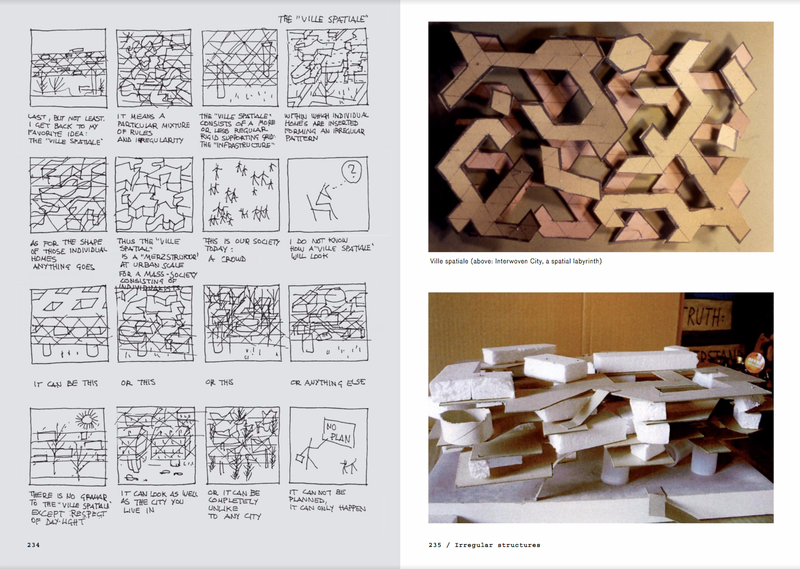 This is the first book by the Architecture Urban Design Collaborative, AUDC founded by Robert Sumrell and Kazys Varnelis of Columbia University. 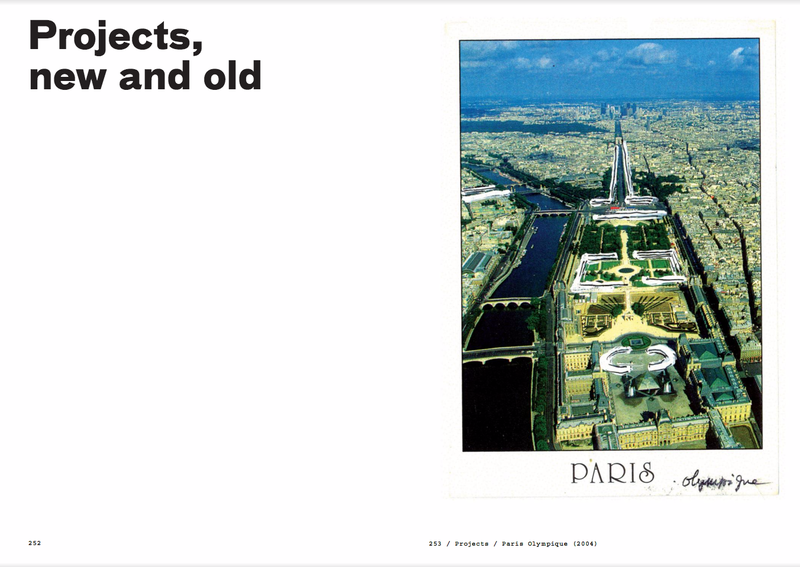 In the immediate postwar years, a new type of modern architecture emerges. 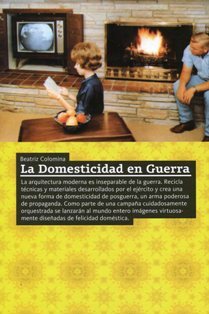 Beatriz Colomina presents domesticity as a potent new weapon in a changed architectural battlefield. This architecture becomes the property of the middle-class consumer bombarded with images of domestic bliss, a lifestyle campaign launched through recycled military techniques. 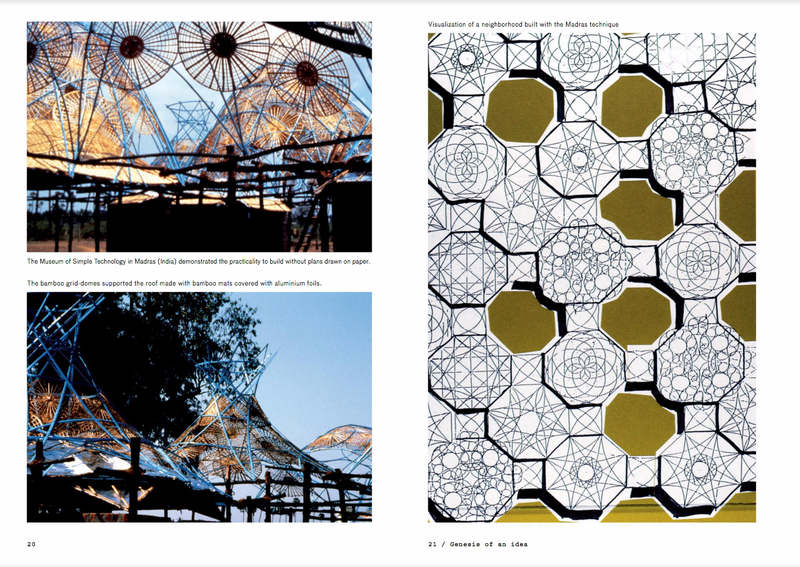 The significance of architects like Charles and Ray Eames lies in their sensitivity to buildings and images both defining space. Colomina is Director of Princeton University’s Architecture PhD program and acclaimed author of Privacy and Publicity and Sexuality and Space. 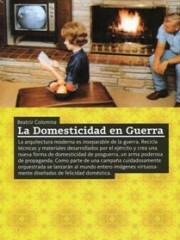 Domesticity At War is specially designed as a two-tiered, text and photo, flip-book. 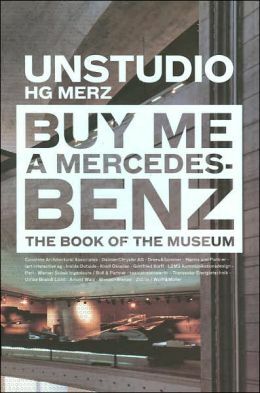 More than the document of a remarkable project: Buy Me A Mercedes-Benz shows how various forms of expert knowledge have been combined and interwoven to finally generate an unconventional, breakthrough museum design. 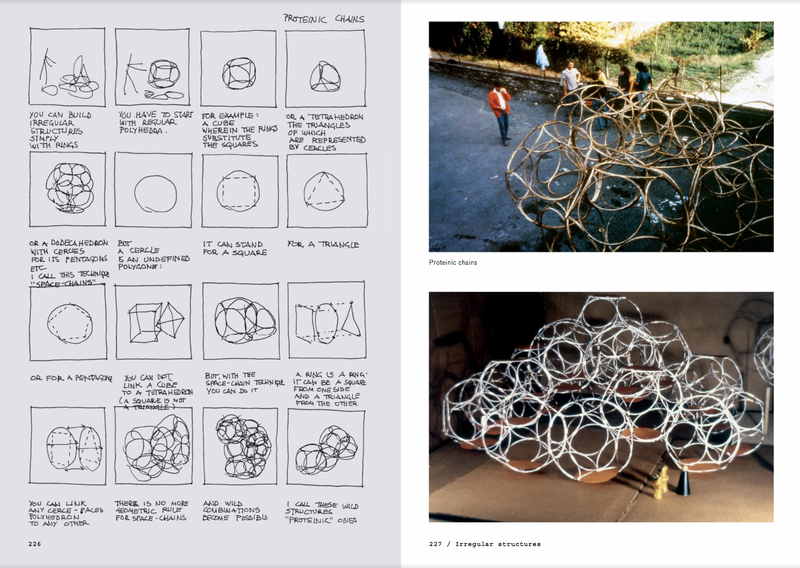 Providing insight into the various ideas, experiences and ambitions behind the project, this book allows visitors to take the museum home. 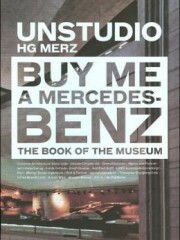 Through photographs, diagrams, text, and drawings, this book explains the unique Mercedes museum design model, developed by UN Studio: the digitally programmed, three-dimensional, cross-connected trefoil. 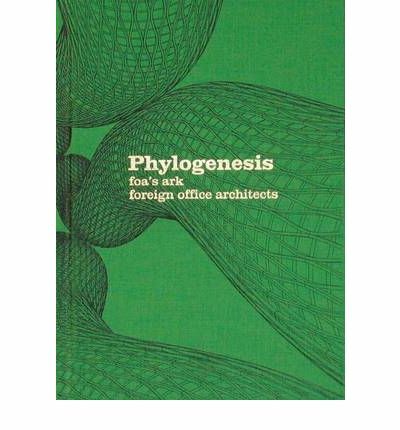 Implementing this model has resulted in a building that radically breaks with many of today’s architectural conventions, a building that is highly complex, but still maintains a strongly directional structure, which provides many surprising perceptual experiences. 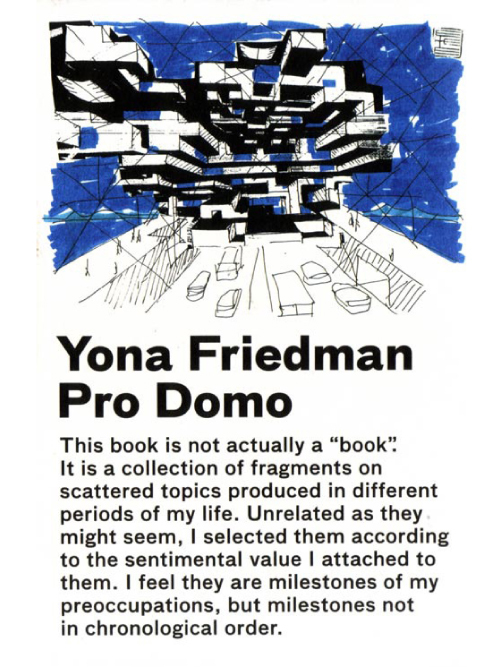 In 1958 Yona Friedman published his first manifesto on “mobile architecture” and founded GEAM (Groupe d’Etude d’Architecture Mobile), which proposed different strategies and actions geared to the adaptation of architectural creation to modern user requirements for social and physical mobility. 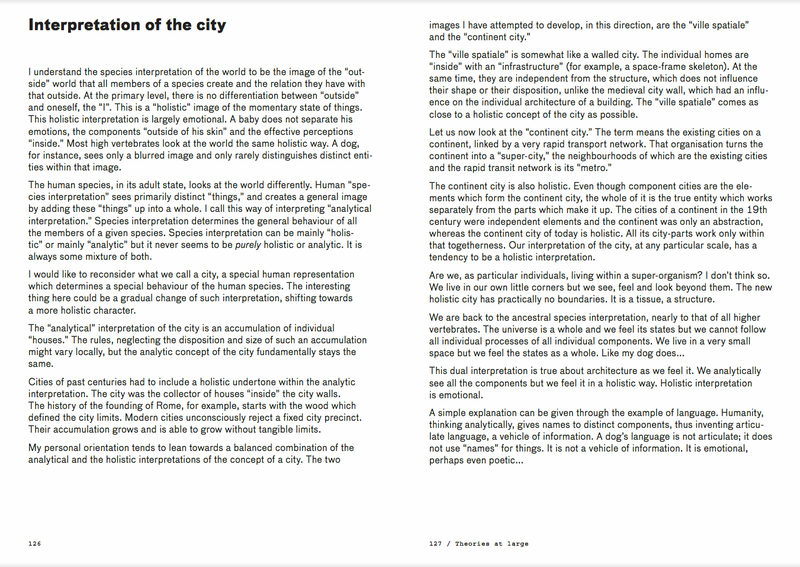 In this initial manifesto, Friedman claims that architectural knowledge cannot be the exclusive property of professionals and specialists, and suggests writing guides or manuals, which explain topics related to architecture and urban planning in clear and simple terms. 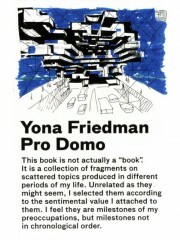 Pro Domo is “a collection of fragments of scattered topics,” a set of “milestones” selected by the author himself, a personal selection chosen “according to sentimental value”, spanning 50 years of production. Size: 8.3 x 5.8 in. Size: 9.4 x 6.5 in. 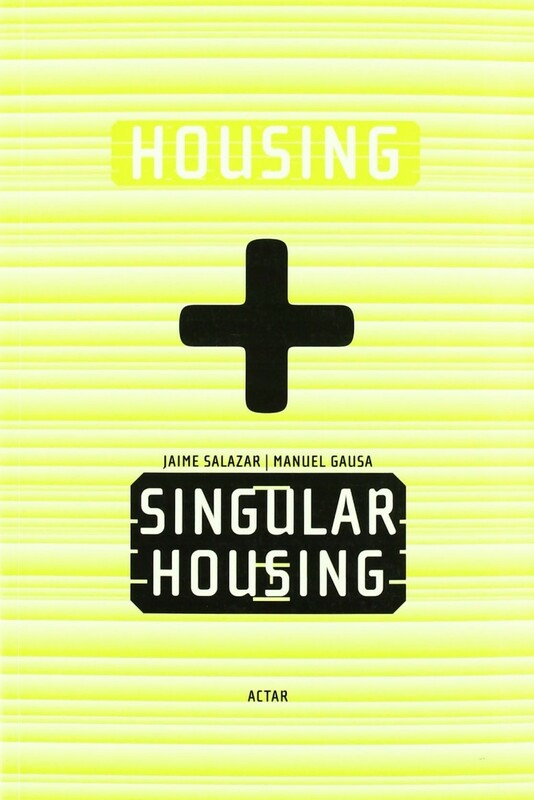 Reedición conjunta en un único volumen de los libros Housing y Singular Housing anteriormente publicados por Actar, con la incorporación de algunos proyectos recientes. 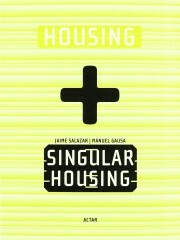 El libro se enfoca en diversas propuestas residenciales recientes, a la vez que ofrece diversos y sugerentes análisis la vivienda unifamiliar. La primera parte, con una vocación más teórica, se ha centrado en la exploración de las “dinámicas de proyecto” susceptibles de generar sistemas formales nuevos relacionados con los fenómenos de cambio que experimenta actualmente la ciudad contemporánea. La segunda presenta un conjunto de proyectos y realizaciones paradigmáticos del nuevo abordaje residencial contemporáneo. 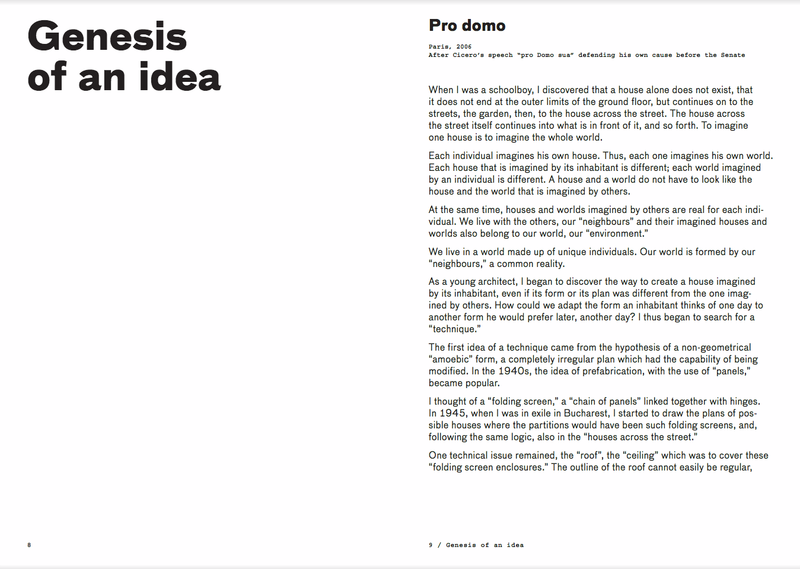 A lo largo de de tres capítulos –la casa como envolvente, la casa como artefacto y la casa como paisaje– con proyectos, citas e imágenes se plantean las nuevas posibilidades en torno a la arquitectura del hábitat personal. Size: 6.5 x 4.7 in. 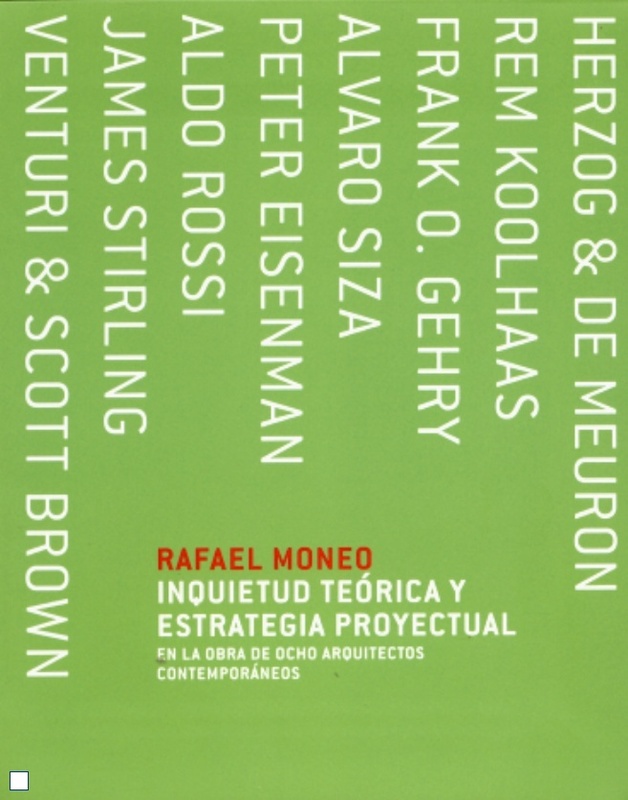 Este libro se estructura como una reflexión sobre la obra que FOA ha producido durante sus primeros 10 años de vida que han supuesto el desarrollo de una actitud y la construcción de un arsenal técnico para su aplicación, mediante concursos, encargos especulativos y más tarde proyectos reales. 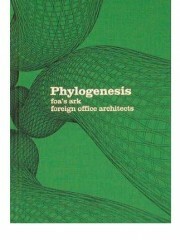 La producción de estos años no se ve solamente como una serie de experimentos sino como una reserva constante de especies arquitectónicas que en los próximos años proliferarán, mutarán y evolucionarán. Con la idea de una clasificación científica, la génesis del proyecto se identifica como la evolución de una serie de “filums” actualizados en su adaptación a las condiciones específicas donde los proyectos ocurren en el tiempo y el espacio. 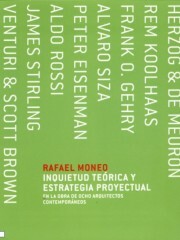 Este libro incluye también una recopilación de textos de varios críticos que analizan temas “externos” relacionados con diferentes aspectos del discurso de FOA. 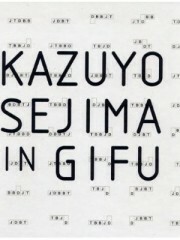 Located in Gifu, sits a building that constitutes the first material expression of Kazuyo Sejima’s studies on metropolitan housing. This investigation proceeded from the conclusion that not all subsidized housing needs to be the same. Starting from a generic public housing program, Sejima’s housing block in Gifu departs from convention and occupies the conceptual and physical space created between oppositional design concerns: where a strictly modulated structure confronts a random arrangement of different spaces; between the length of the building and the reduction of its built depth; between inhabitable space and the surrounding landscape; between the individual and the family unit. Size: 17 x 16 cm. 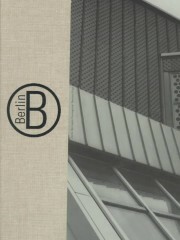 Shot in 1994, Berlin is an extended photo essay recording the transformation of the urban landscape of the city of Berlin. 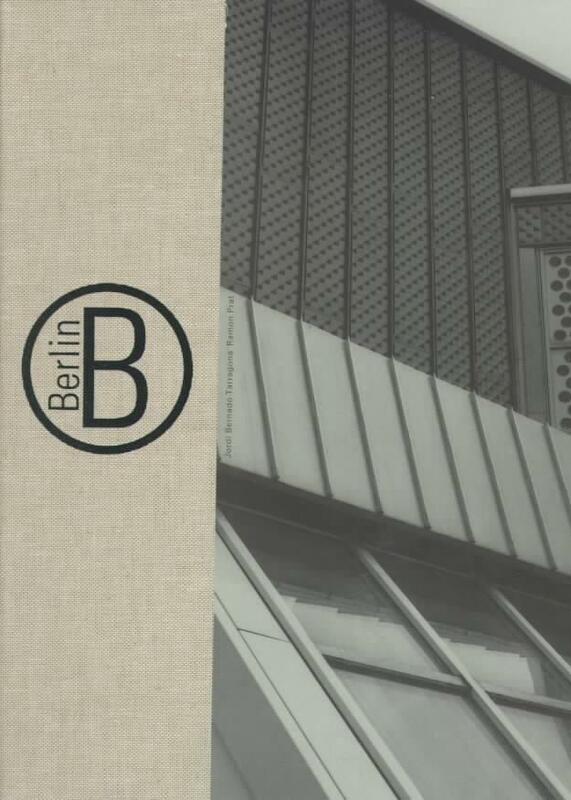 Capturing a moment frozen in time, these photographs present a Berlin that no longer exists but continues to survive.